Authentic house, combining the warmth of wood and mountain stone. Property 23: Authentic house, combining the warmth of wood and mountain stone. Great place! Great week of skiing! Great place, great weather, fantastic skiing! The house had everything we needed and easy access to village and lifts. I would definitely stay there again. 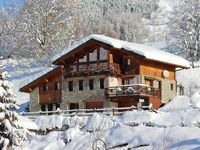 The chalet is located in a beautiful french alpine village. 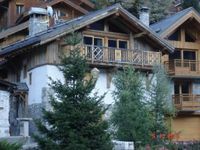 It is in within walking distance to shops, a ski shop and the the slopes to Tres Valles ski area. The accommodation are comfortable and the in house sauna is great for relaxing after a long day of skiing. Thanks!